Inside The Ever-Expanding Wizarding World: Harry Potter At 20 It's hard to remember a world before Harry Potter. But it's been 20 years since readers in the U.S. were first introduced to the boy wizard, whose story has captivated audiences since. In the jacket art for Harry Potter and the Deathly Hallows, Harry faces off against Voldemort. It's among the items on display in a new exhibit at the New-York Historical Society. 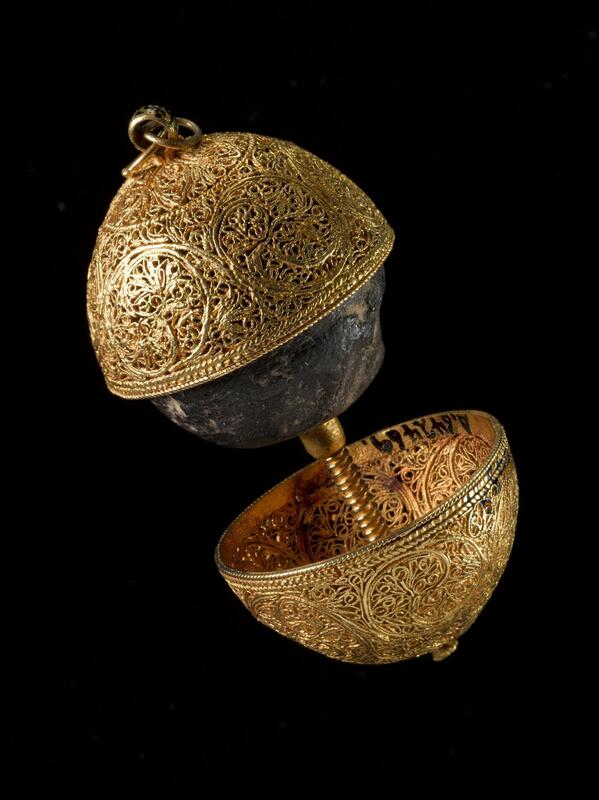 A bezoar, encased in a gold filigree shell, is a "stone" of indigestible mass formed in the guts of animals. They were once believed to be antidotes to poison — and play that role in the Harry Potter universe. "Once upon a time I was a 20 years younger man and I was walking around the Bologna [Children's] Book Fair being very highfalutin and saying to each person that I was meeting with 'What I'm looking for are books that will stand the test of time, ' " Levine says.